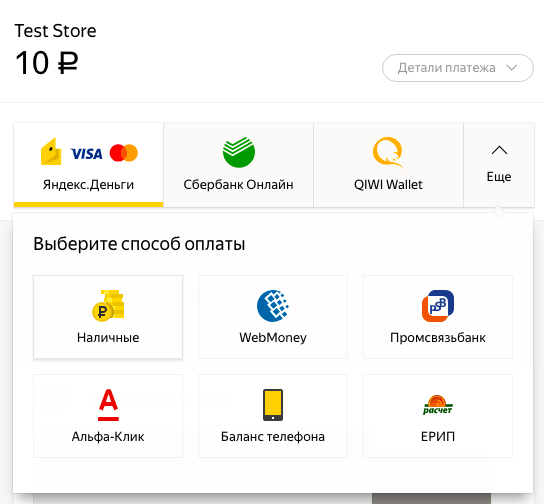 Yandex.Checkout allows making cash payments for orders at ATMs, payment kiosks, at cash desks of banks, offices of payment acceptance systems, and other places where deposits for Yandex.Money and Yandex.Checkout are accepted. 1. 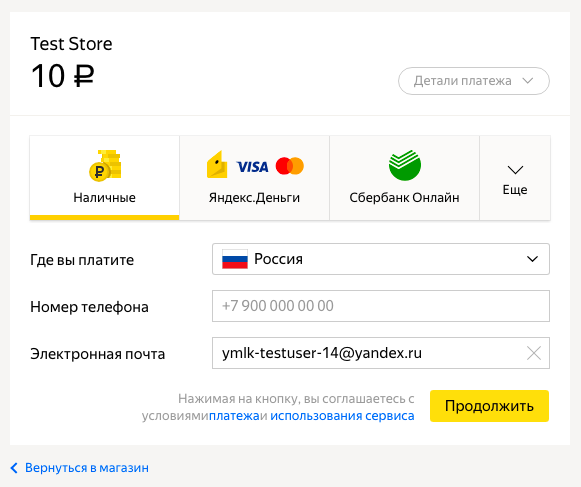 Select the Cash payment method in the store where you are going to pay, or on the Yandex.Checkout page. 2. 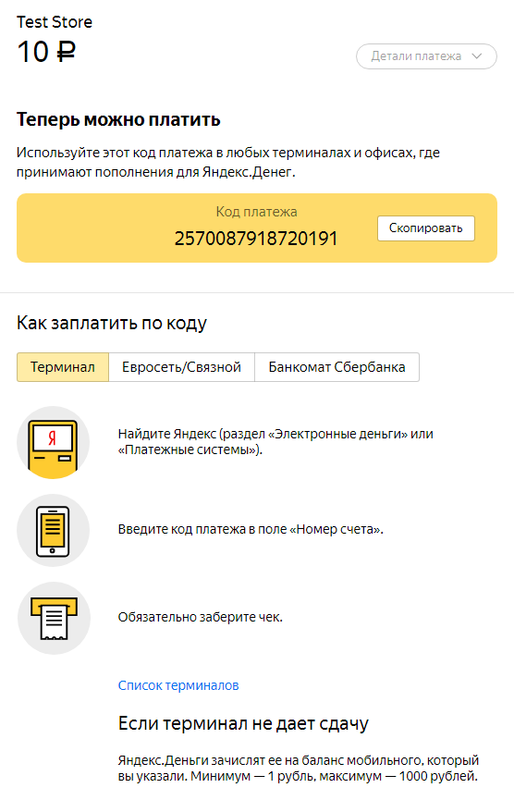 Enter the phone number that you want to receive the payment code to. Specify your email address to get a receipt, we will send an email with instructions and payment code to it, and an electronic receipt after the payment. 3. Select the country where you want to deposit money click Continue. 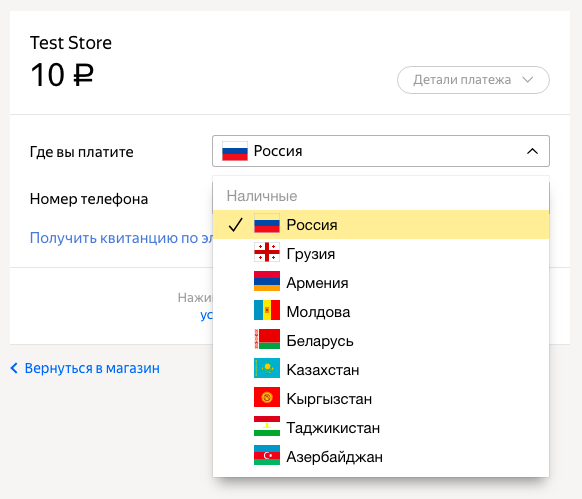 After you select a country, links to payment acceptance points will appear to the right of the form. 4. Text message containing the payment code will be sent to the phone number you specified. Save this text message: the code is required for completing the payment at a payment kiosk, in a phone shop, or at our partner's cash desk. 5. You will see the payment code and instructions. You can copy the code and save or print the instructions. 6. Deposit the cash wherever it's convenient for you: at a payment kiosk, in a phone shop, or at a bank. You can find the nearest payment acceptance point on a map.